Sophistry Skincare, Is Bespoke Skincare Better? The skincare market is competitive and with so many choices available, navigating the beauty world can be overwhelming. You may search out the assistance of blogs (ahem, yours truly) or magazines, but finding the right products is often a costly game of trial and error. Sopiea Mitchell, longtime skincare chemist and founder of bespoke skincare line, sopHistry, wants to offer women an easier way – custom skincare made to target their specific needs. The customization process begins with an in-depth consultation; either in-person or via FaceTime, Skype or WhatsApp. And can take as little as thirty minutes, or as long as two hours depending on the client. The initial consultation costs $150 per hour. (The fee is more a device to weed out unserious clientele than to over charge, as the cost is negated if products are purchased.) 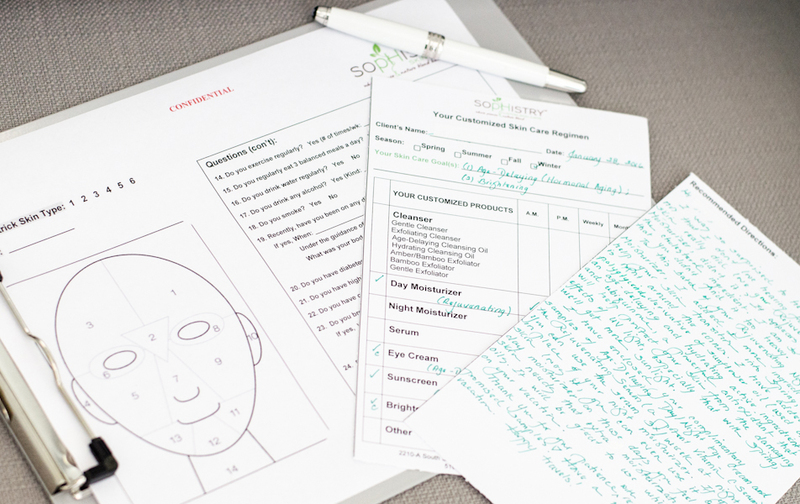 During the consultation, Sopiea covers a series of inquisitive probes about lifestyle, diet, skincare routine, skin health history and any known skin irritants. 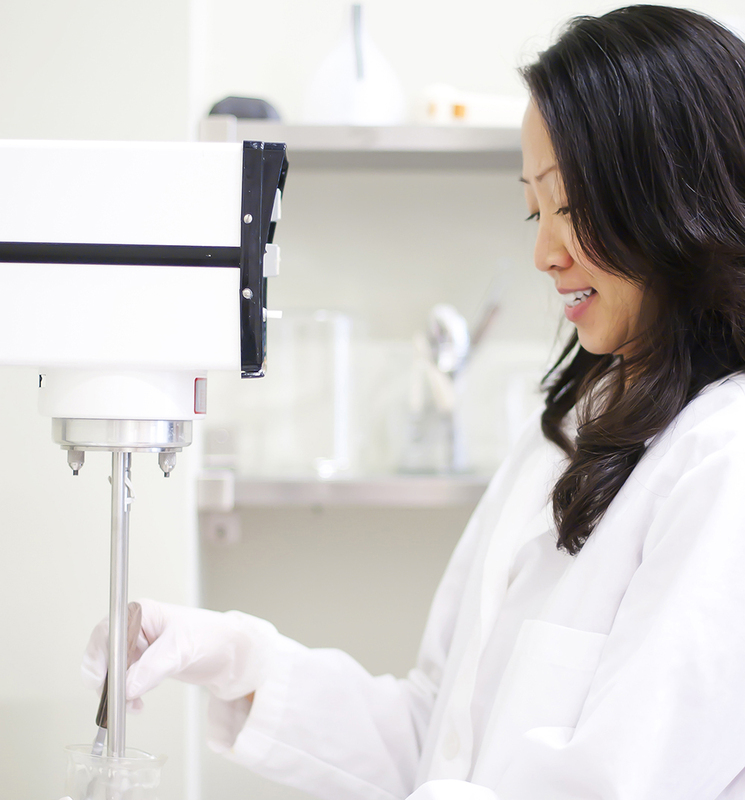 After which, your custom skincare products are made in-lab, one bottle per batch. The self proclaimed minimalist believes in only the necessities. Clients, usually, start out with a basic three step routine: gentle cleanser, day moisturizer and night repair moisturizer. An eye cream and serum are added later on, depending on the client’s specific needs. “I find that if your products are made for you and give your skin exactly what it needs, you don’t need other stuff than the basics,” Sopiea explains. Seasonal follow up consultations with clients are recommended every three months, free of charge. However, Sopiea says they can be done as frequent or infrequent based on the client’s schedule and needs. But she prefers four times a year, since each consultation is an opportunity to assess client feedback on products and tweak formulations; texture or active ingredient levels can be adjusted for the next three month cycle. The line’s price point falls towards the higher end. Yet, in a similar range to other mass available luxury brands like La Mer or Sisley. Cleansers are $45, day moisturizers range around $170, eye creams $160 and active night moisturizers or serums $340 and up. Each batch created is for one individual. No big machines, no large batches. When asked how the brand is able to make this type of customization relatively affordable, Sopiea explains that everything is vertically managed, “I don’t rely on outside vendors. We do all the materials and manufacturing.” And as far as ingredients go, as long as they’re FDA approved, the sky is the limit. Products last around three months and require a one week lead time for production. While there isn’t a return policy, if clients experience a reaction, Sopiea works to reformulate the products free of charge until it suits their needs. But says over the last six years, only two clients ever required reformulations. The bespoke skincare brand has been slowly building a collection of elite clientele across the country, as devoted clients spread the gospel by word-of-mouth. And it’s easy to see why the brand is flourishing. Sopiea is offering clients a bullseye. 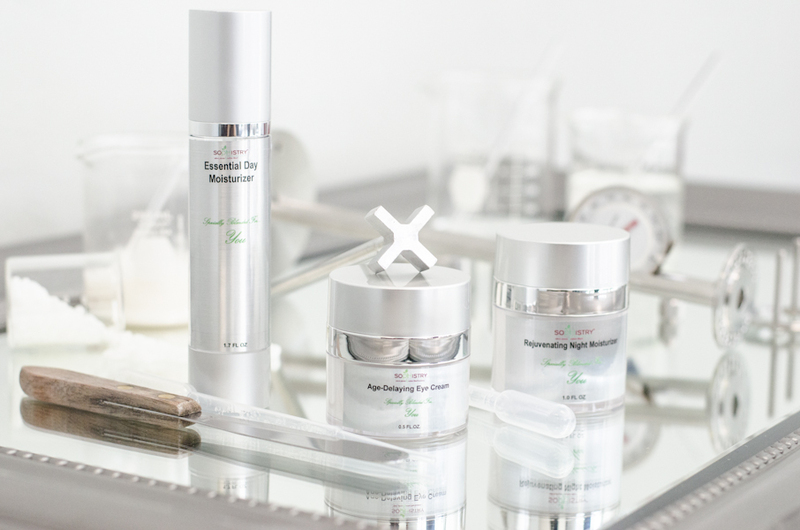 No more trial and error with skincare products. This year sopHistry extended their reach into Asia; where skincare customization is becoming very popular. Previous Post What is an LED Facial?